Information overload on epic reveal of content! 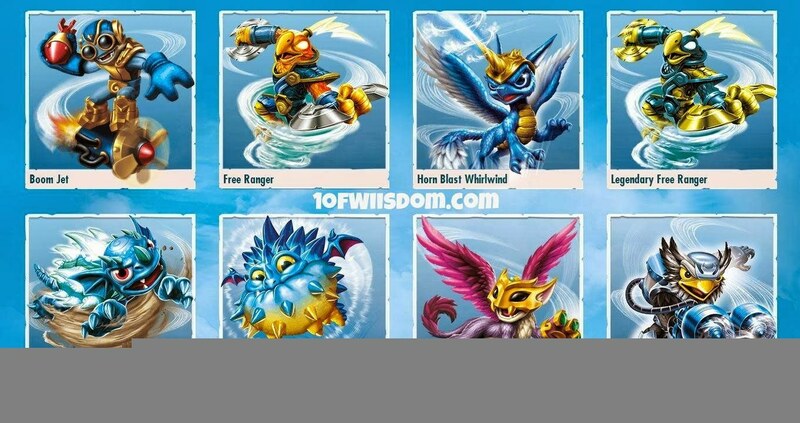 Today, @SkylandersGame revealed they had updated the website with ALL the SWAP Force Characters...I don't just mean your 16 SWAP Force, I'm talking EVERYONE. Not only are they all listed, but they are sorted by several factors: Game, Series 2, Series 3, Giants, Element, LightCore, SWAP Force, etc. It is very convenient and super slick! Furthermore, we get really nice artwork for each character, their background story, screenshots, and even their preview videos! It truly answers almost any character related question...Note that savy users have also noticed you'll see "Alt Deco" listed out on a few individual characters...these are for the "variants" if you will. 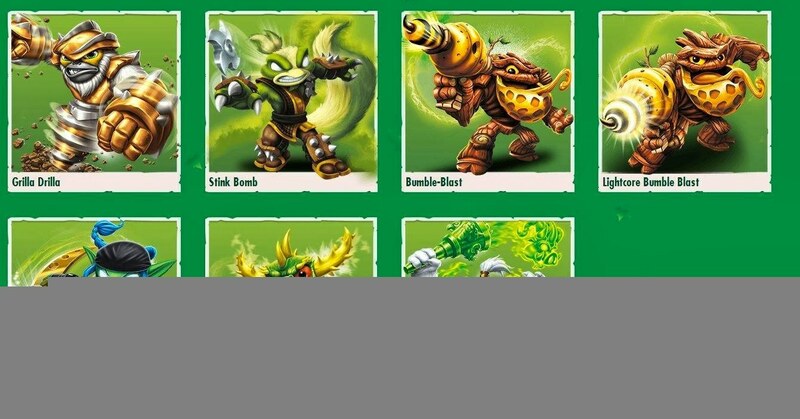 Please note that you can use the top navigational bar to sort the characters however you would like...I have this link routing you to "ALL" of the "FIRE" Element Skylanders. If you just go across and select another element, it will remain as "ALL" and show you everything from the earliest of SSA on up thru the latest and greatest of SWAP Force. The following showcases a few Screen Caps I took...Note that some characters are not named, and a few are still in the wrong places (ie Super Gulp Pop Fizz classified as a Series 3). Nonetheless, take the link above and you have a treasure trove of information! I haven't yet taken the link but are the figures on the website or do we still need to wait 4 those images? I checked and those figures are so awesome! I really really like every new character and repose on the earth element figure. 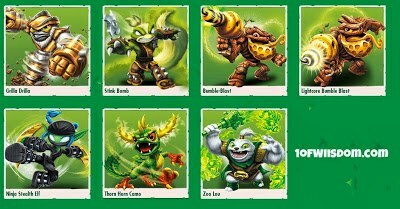 Every character in the earth element is awesome and I will probably get all of them. Ha, you sound like me! When I had to pull the "leaked" video I kept reiterating that the Earth Element was going to be killer and it certainly is! 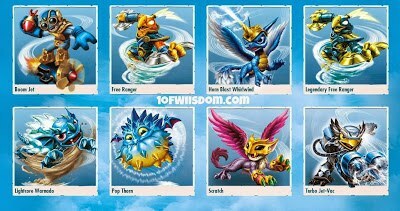 Scorp and Slobber Tooth look great...The Earth Swappers should be pretty sweet as well! We haven't seen much of them...Prob for good reason! Ya the earth swappers probably have unknown potential that we can't even consider the reality of at the moment I really hope doom stone is as good as his figure makes him look to be I also think that trap shadow has great potential and so does spy rise. I'm hoping that maybe some of the characters backstory comes into the main story in someway for example spy rises dad could lead them to a secret entrance to the magic volcano or maybe countdowns unknown past could be the secret to defeating kaos once and for all. However next year they might change it and hopefully they'll bring back boomer, the only character I never got, I think he could be a great lightcore or s2 either way he should return. I agree, that would be awesome and make the game's main story that much more compelling. Even having "Personal Quests" etc. I've thought of this for a long time for characters like Ignitor and Chill etc...the future is definitely wide open. I am pretty surprised Boomer didn't make a return...I honestly think it may have been a #s game with Sprocket. I'm thinking they wanted another female character...I agree though, he should return as LC (and a repose imo)...his LC could be the bomb drop etc. He is actually a really poweful and fun character...It is a shame people just left him in the shelf originally...Voodood kind of had the same fate. I think people didn't like those 2 because they were the enemy, orc and troll, so people didn't want them but I think we should see more of those types of characters and even put their backstory into the campaign. Characters like that have lots potential for personal quests and main story combined with backstory. Yep, I honestly think the looks are what killed those two in terms of sales. People see Zap or Hex and they just appeal more than a voodood looking guy and a troll...I'm a big believer we should have had Boomer and not Sprocket. She has been the one character always available with Giants. Haha, yep...It'll be way more economical to get LC WS as opposed to fishing online for a SSA version at 3x the price. I know, right...Warnado is back too :D I don't have much on Scratch just yet, BUT I am currently rendering a 12 minute HD vide of BRAND NEW GAMEPLAY that includes a lot of the others!! Yep...Free Ranger + Rattle Shake are in the 3DS Starter Pack tho...And you could get one of the Double Packs to land Nitro Magna Charger. Oh, and don't forget Walmart will have Enchanted Hoot Loop (he changes colors in the sun apparently, lol). Are you getting Y? I am thinking of pre-ordering it this week to get the poster at GameStop. We pre-ordered X & Y for my Nephew to get him the posters AND the timeline. My only Pokemon game is Rumble U that I just got, but I was thinking of getting Y (I like the look of the Yvetal!! This time of year is always hard on the wallet, lol. Hope we can survive! Im definitely getting y and my dad is getting x so well be able to compare games and who knows maybe xerneas will be better than yveltal?! Nice...I think I'll pull the trigger on it...looks like there is a feature to let me battle my Nephew etc.